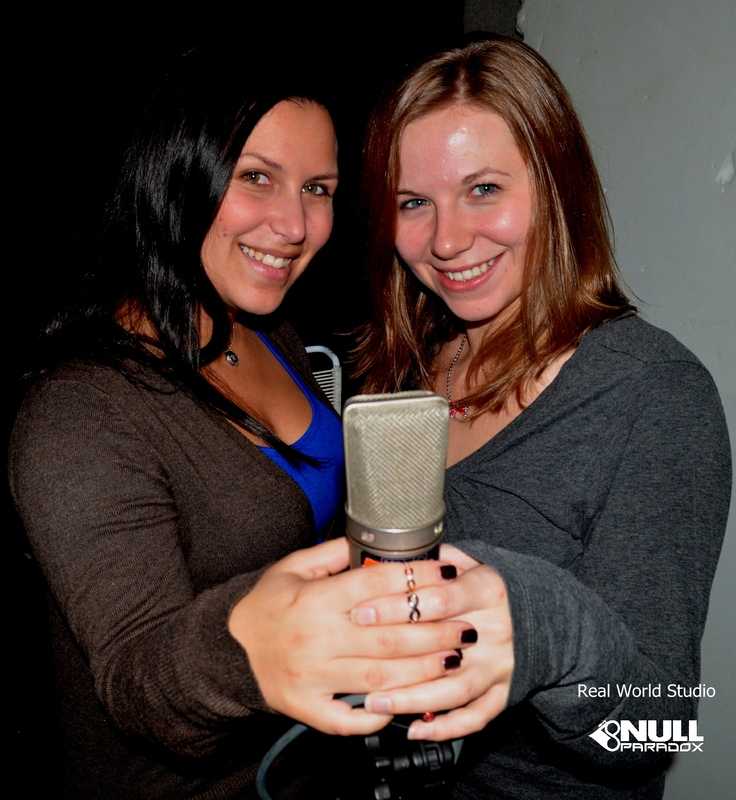 Robyn and Rachel did a great job completing their vocal recordings and now we’re moving on to mixing! Patrick Phillips started with our song Glass Desert and we’ll continue mixing until all 11 songs have been completed. Then it’s over to Tim Oliver for final mastering. 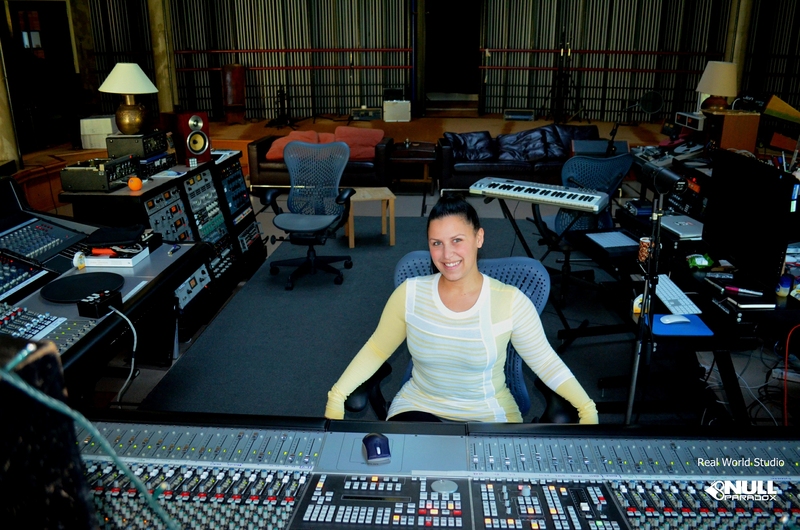 Rachel & Robyn with Chef Jerome at Real World Studios, England with Null Paradox. 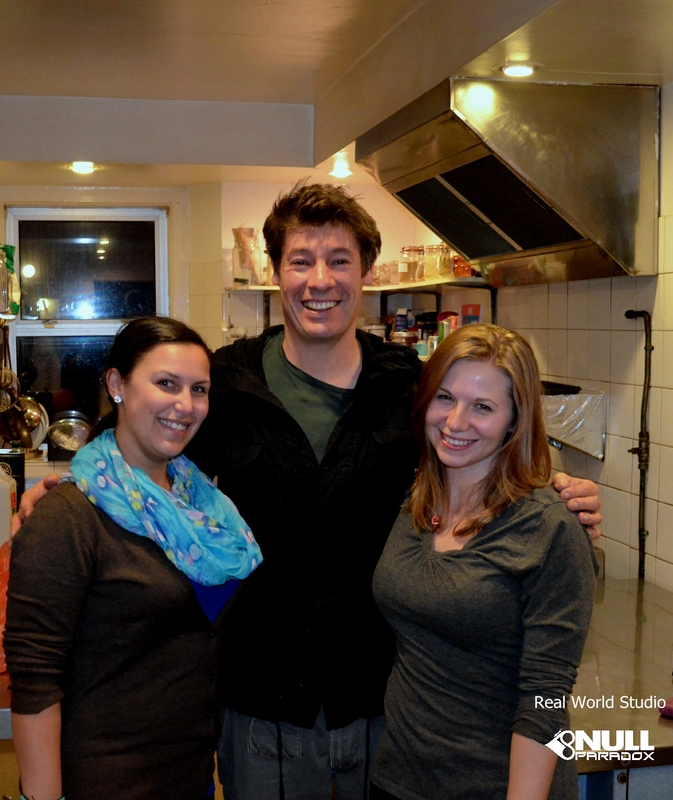 Chef Jerome, who is from France, cooks delicious food. Only at Real World will you find the English and French getting along–with the exception of the epic Ping Pong battles. We’ve been advised that there can only be one King. Photography by Tom Libertiny. 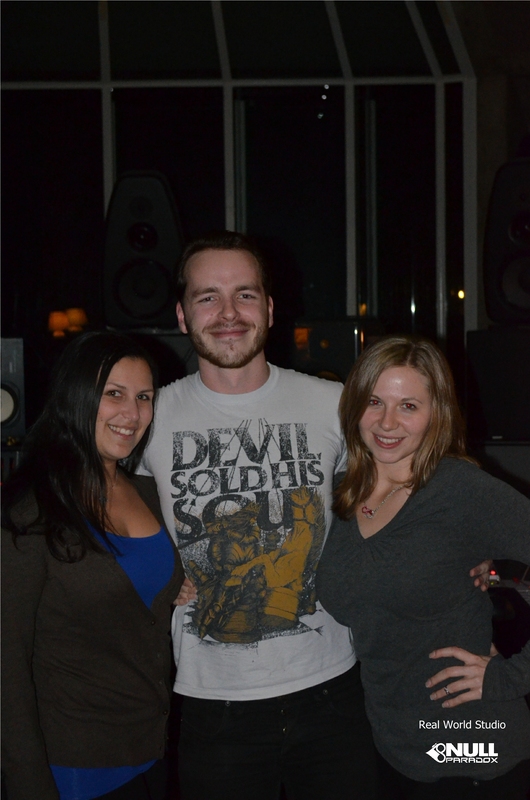 Rachel & Robyn with Ralph Yandell from the Stimula Band at Real World Studios with Null Paradox.